In the 51-52th episodes of Story of Yanxi Palace Chinese Drama Recap, Consort Chun gets her punishment after emperor knows she murdered the seventh Prince. But emperor realizes Consort Lin utilized him to take revenge for previous empress, and thinks Consort Lin murdered Consort Chun after knowing she was killed by kite thread. Note: From here on out there are specific plot spoilers for Story of Yanxi Palace Chinese Drama Episodes 51-52. Empress tells empperor that her father sold his property to save the victims, and he didn’t suppress them because of his kindness. She begs him to forgive her father, he has to send her father to Ning Gu Tower. Empress thanks Hong Zhou for saving her father, and asks him to take care of her father. But empress’s father was dead when Hong Zhou takes imperial edict to save him. Empress asks emperor if he killed her father since she knew her father is afraid of death. He swears to her that he didn’t do it, and she guesses it was queen. She is furious to speak out the truth of the corruption case, and reveals queen’s family joined the corruption case, so she killed her father to protect her family. Emperor knew empress’s father was wronged, but queen is his mother. He stops her saying, and lets her hate him if she wants to hate someone. He tells her to remember that her father was dead because of suicide, and announces she is ill. Zhen Er is anxiety since empress is missing. Hong Zhou helps Zhen Er to look for empress, and sees she is standing on the city wall. He worries about her, and persuades her to be off. But empress tells him that she wants to feel the feeling of previous empress’s jumping off, and reveals she won’t commit suicide. She thinks she wasn’t cruel enough because she didn’t protect her father after her mother and her brother died. She keeps laugh, and walks down the city wall. She tells herself that she must take revenge her father. Empress claims she is ill, and doesn’t want to see anybody. Emperor feels guilty, and forgives her when she is rude to him. Zhen Er fears empress enrages empperor, but empress points out that she has to pretend to be sad since her father is dead. Emperor brings an old clothes to empress according to the example of previous dynasty, and hints to get along with her. But she ignores it, and flatters Hong Zhou with her father’s death. Imperial Concubine Yu takes her son to see Consort Lin, and wants her to be his adoptive mother. Consort Lin is happy since she saved the boy, but Ming Yu thinks Imperial Concubine Yu is a jerk, and runs out with temper. Hai Lancha comforts her, and tells her Consort Lin did it for investigating Consort Chun. Consort Lin asks Ming Yu to borrow the music box from Household Bureau, and dances with her. Emperor visits, and thinks they’re impertinent. But he dances with Consort Lin when she invites him. Emperor was upset because of empress, but he is happy when he arrives at Yanxi Palace. Mr. Li thinks Consort Lin is a genius. Emperor asks Consort Lin about empress’s father’s case, she thinks he was intention to kill her father, otherwise he wouldn’t send him to Ning Gu Tower. He asks her if she thinks he is cruel, and she thinks he shouldn’t regret since he did it. Yuan Chunwang visits Consort Lin, and she fears that he still hates her. But he says that he misses her, and wants to be the director of Yanxi Palace. Hu Po is arranged to laborious department since she offended Consort Lin. But she cannot bear the heavy works, and asks empress a favor. So empress gives her some light works. Ming Yu is cold to the fifth Prince because of his mother, and he sees she dislikes him, and asks her the reason. She admits it, and he is shocked as people like to lie in the palace. She tells him to speak it out if he wants to eat pastry. The fifth Prince trusts her more. Mr. Li tells Consort Lin that emperor wants to see her, Ming Yu wants to accompany Consort Lin since Mr. Li is serious. But Consort Lin asks Yuan Chunwang to be with her instead, because Ming Yu is reckless. Imperial Concubine Yu blames Consort Lin when they arrive emperor’s palace. 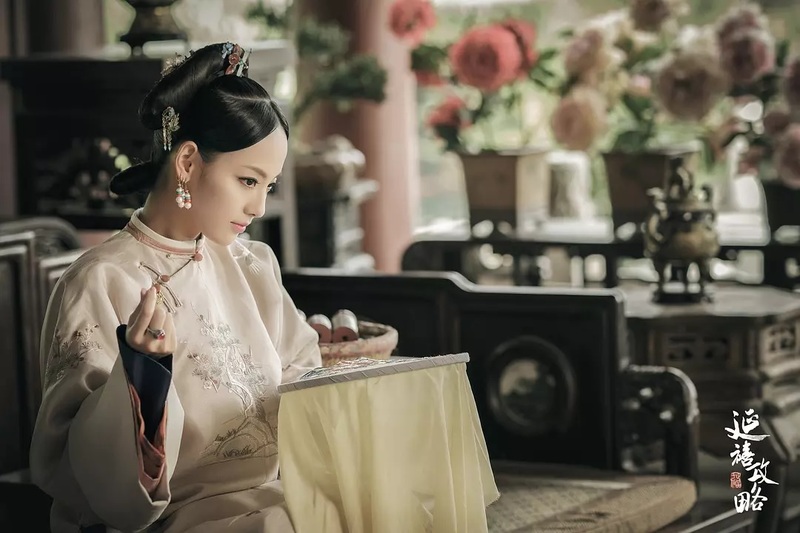 She thinks Consort Lin was intention to murder her son since the fifth Prince got sick after eating the pastry from Yanxi Palace. Imperial Concubine Yu claims Consort Lin hates her because she betrayed previous empress, and wanted to kill her son. Doctor finds out the fifth Prince got sick because of radix aconiti agrestis, and Ye Tianshi added radix aconiti agrestis in the medicine to cure Consort Lin’s wound after she fell from the horse. Imperial Concubine Yu claims she will commit suicide if emperor doesn’t punish Consort Lin, he has no way but to ask Consort Lin if she did it. Consort Lin says that she has a witness Ye Tianshi. She knows the doctor and Imperial Concubine Yu are partners, and asks Ye Tianshi the method to detoxify. He claims she just needs to force the fifth Prince to vomit, and he can analyze the ingredients. Imperial Concubine Yu and Consort Chun oppose it, but emperor agrees since he loves Consort Lin. Ye Tianshi finds out the fifth Prince’s illness isn’t because of radix aconiti agrestis but ginseng. The doctor is afraid of being punished, and says Imperial Concubine Yu fed her son with ginseng. Empress guesses Imperial Concubine Yu knew radix aconiti agrestis would kill her son, so she used ginseng to replace it. Imperial Concubine Yu has to admits that she was instigated by Consort Chun. Emperor locks Consort Chun up, and asks to interrogate her followers. Imperial Concubine Yu is arrested. The fifth Prince cries out because he doesn’t want to split up with his mother. She tells him to stay with Consort Lin. Empress tells Yu Hu that Consort Chun is safe because she has prince, but she will be killed if she doesn’t tell the truth. Yu Hu wants to commit suicide, and empress threatens her with her family. Yu Hu has to confess. Empress takes her to see emperor and Consort Lin, and Yu Hu reveals Consort Chun murdered the seventh Prince. Emperor is shocked after knowing his son was killed by Consort Chun, and Ming Yu says that she witnessed it. He is disappointed to Consort Chun, and drops her status to Da Ying. He doesn’t expect the tender Consort Chun is so evil, and thinks he doesn’t understand women. Emperor realizes that Consort Lin utilized him, although her goal was to take revenge previous empress. Empress asks Consort Lin to thank her, but Consort Lin points out that empress did it just for getting rid of her enemy, because she will get benefit if Consort Chun falls. The fifth Prince kneels in front of palace, and asks emperor to forgive his mother. But emperor ignores it. So the fifth Prince begs queen, she agrees it since the child is so pitiful. Empress visits Consort Chun, and Consort Chun points out that she utilized her to murder the seventh Prince, and forced previous empress to commit suicide. Empress admits she hates previous empress, and points out Consort Chun killed the seventh Prince because she hates Fu Heng who doesn’t love her. Consort Chun thinks she is going to see previous empress, because empress is intention to kill her. Empress says that she is very smart, and asks her followers to take actions. Consort Chun was killed by the thread of kite, and emperor guesses it was Consort Lin. Ming Yu fears Consort Lin is charge of killing Consort Chun, but Consort Lin thinks of the last words Imperial Concubine Yu told his son, and realizes Imperial Concubine Yu framed her was to defeat Consort Chun. Consort Lin visits Imperial Concubine Yu, but she was arranged to be a nun. Hi thnx for recap the story..
just wondering why did you stop to continue to do recap for rest of the episodes…..